Following the grudging approval from Nuclear Regulation Authority, the construction of the frozen soil impermeable wall around the reactor buildings and turbine buildings has promptly started. 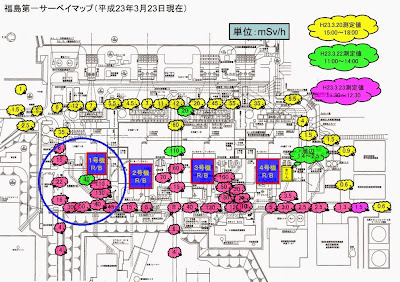 The first place that the contractor (Kajima) started to drill holes in was the northwest corner of the wall right near the Reactor 1 building. 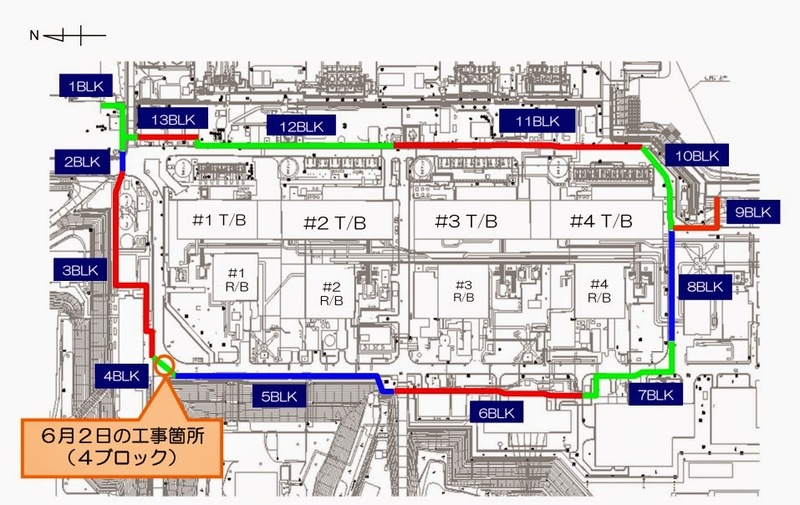 The frozen soil wall plan by Kajima has been criticized by the media and net citizens as "untested" and "costly". I don't personally share much of that sentiment after looking at the presentation by Kajima and those by two competitors (see my post from May 30, 2013), but I do worry, as the modus operandi of TEPCO is to cut cost by any means. 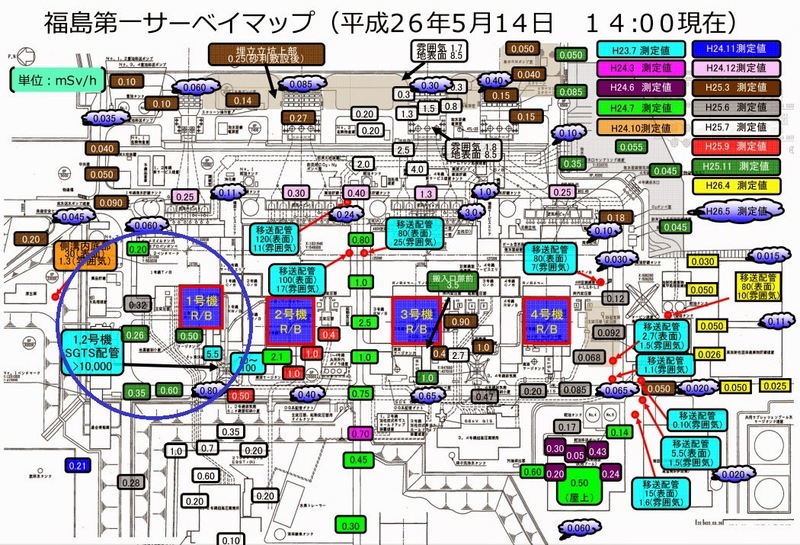 I have a nagging feeling that TEPCO will manage to sabotage Kajima's work somehow. The exhaust stack you see on the right has a spot where the dosimeter went overscale at 10,000 millisieverts/hr (or 10 Sieverts/hr) back in August 2011. 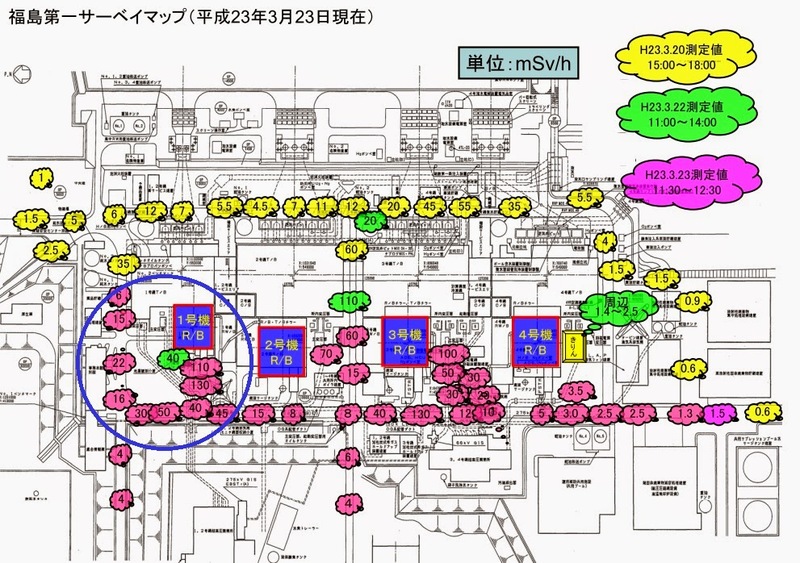 TEPCO did calculate how high the radiation might be in November 2013, and it was at least 25 Sieverts/hr on the surface of the pipe. 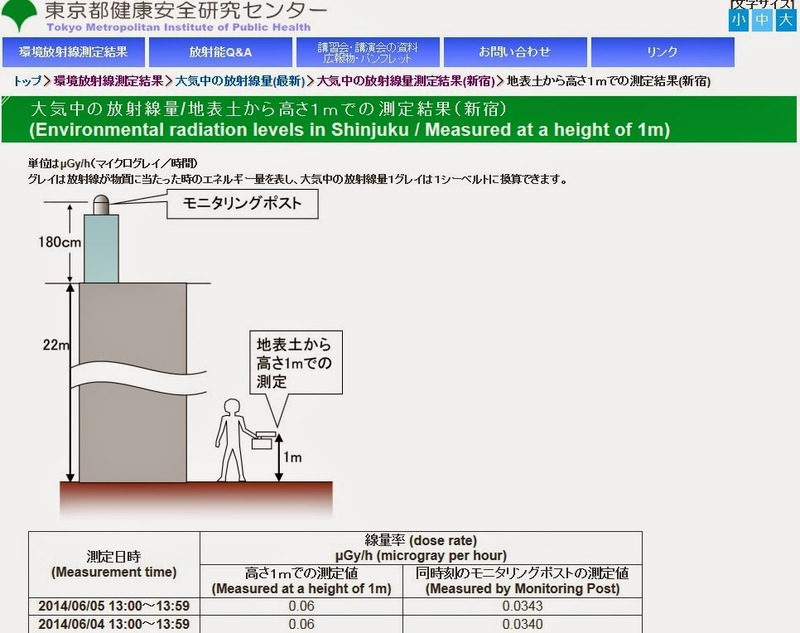 Ambient radiation levels near the pipe range from 19 to 95 millisieverts/hr. 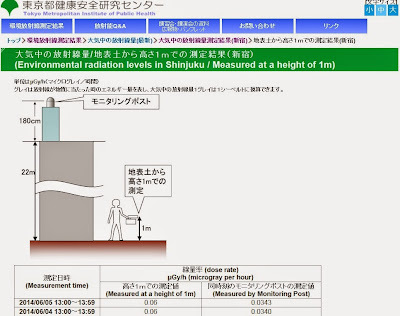 Still, 0.35 millisieverts/hr is 350 microsieverts/hr; it is nowhere near the level for workers to work without concern for radiation exposure. Three-hour work on that location, and you may exceed 1 millisievert per year excess radiation exposure. (UPDATE 3) The story gets richer by the day. Now it's been found that Professor Charles Vacanti, head of Anesthesiology at Brigham and Women's Hospital and the corresponding author of the Nature paper which he finally agreed to retract after just about everything in the paper was found to be more fantasy than reality, has been awarded US$700,000 grant from the Department of Defense via AxoGen, Inc., "the emerging leader of the $1.6 billion U.S. peripheral nerve repair market" according to the PR on June 4, 2014. The US taxpayers are thrilled to fund his research, I suppose. 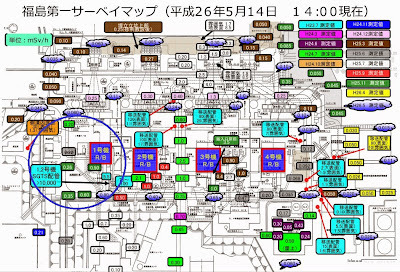 (UPDATE 2) Yomiuri and other papers reported on 6/5/2014 that Ms. Obokata's job application paper for Riken's position ("unit leader" with close to 100,000 dollars salary) was found to contain more copying and pasting - from her doctoral thesis which is itself full of copying and pasting and from patent applications submitted by Harvard University. It would be a surprise if there is anything, anything at all that this so-called researcher has ever produced without copying and pasting someone else's work. (UPDATE) So it was a pressure exerted by Nature Magazine on Charles Vacanti. According to Asahi Shinbun (6/5/2014), Nature strongly suggested Vacanti agree to withdraw the papers (only Vacanti and Obokata were holding out) instead of Nature doing it without his consent. 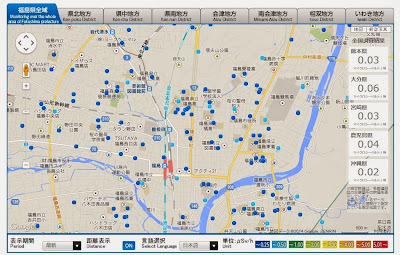 After Vacanti folded, Obokata folded. Fraud through and through, it seems to me. The latest developments came on June 3, 2014, when NHK reported on two different investigations done on these so-called STAP (stimulus-triggered acquisition of pluripotency) cells (which was originally to be called "princess cells" - princess woken up by a kiss from a prince, no less - by the lead author of the two papers accepted by Nature). - Genetic analysis of the cells created from STAP cells shows these cells were from the mice different from those supposedly used in the experiment detailed in the Nature papers. - The cells were supposed to be created from "F1" mouse according to the Nature papers, but in fact they were from "B6" and "CD1" mouse. - Cells from "B6" mouse are similar to "ES cells (embryonic stem cells)", and cells from "CD1" mouse are similar to "TS cells (trophoblast stem cells). Ms. Obokata's secret recipe may have been to mix ES cells and TS cells cleverly. There was no STAP stem cell, there is no STAP stem cell, as even the magazine that published the two papers now admits. And what is Riken going to do? Nothing. They have said they will continue their effort to recreate the experiment that supposedly created so-called STAP cells. Their best luck would be to mix ES cells and TS cells, just like the lead author (and probably the corresponding author Charles Vacanti) probably did. The top management of Riken seems eager to protect their star scientist Sasai, who was the mentor to Ms. Obokata and the promoter of her and her STAP cells, and shut down the investigation before it ensnares him. Then today (6/4/21014), Nikkei Shinbun reports that Ms. Obokata has finally agree to retract the Nature paper, as well as the letter. NHK says the corresponding author Professor Charles Vacanti may now be willing to retract the paper. 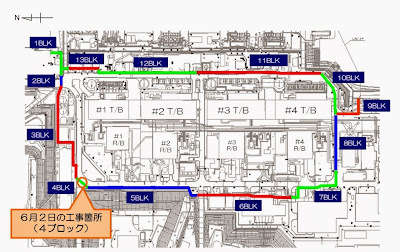 About time to put this sorry saga to rest, but many net citizens (mostly males) in Japan continue to firmly believe it is some kind of a huge conspiracy by male-dominated research institutions and the national government to monopolize these so-called STAP cells. Poor little girl, they say. The lead attorney assisting Ms. Obokata in dealing with Riken says she is still hospitalized and too weak (from unspecified illness, like some celebrities or politicians) and says she has probably been pressured by Riken to accept the retraction. So far, there is no investigation by Harvard University and Nature Magazine. Waseda University, which conferred Obokata her doctoral degree, apparently does not understand what's wrong with copying and pasting without citations in writing a doctoral thesis. Geneva (AFP) - A highly radioactive substance, emitting in some places radiation 100 times the permitted amount, has been discovered in Switzerland, local media reported Sunday, adding that authorities had covered it up for 18 months. Swiss weeklies Le Matin Dimanche and SonntagsZeitung reported that federal, regional and local officials decided not to reveal the fact that they had found radium deposits in an old dump in the town of Bienne so as not to scare the 50,000 local inhabitants. 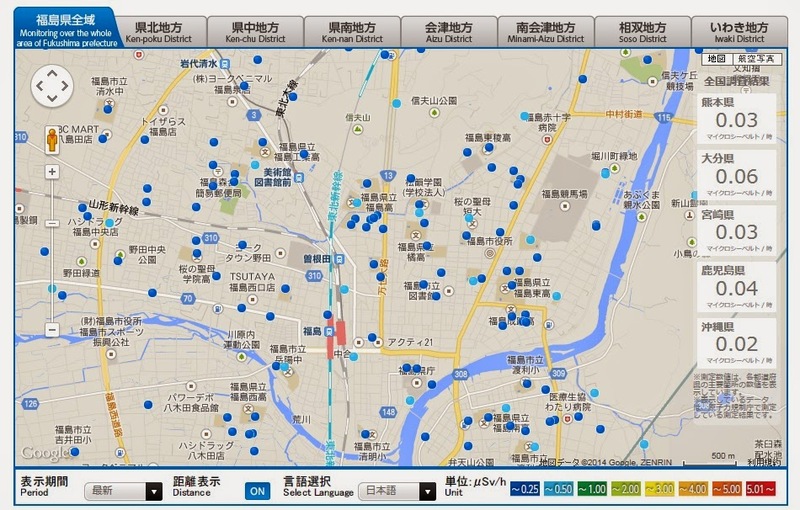 "120 kilogrammes of radioactive waste was obtained after sorting. We measured doses of several hundred microsieverts at the source," Daniel Dauwalder, a spokesman for the Swiss federal office for public health (OFSP), told Le Matin Dimanche. In certain places, measurements of 300 microsieverts per hour were taken, more than 100 times the permitted amount for an old dump, the newspapers reported. Exposure for three hours to that level of radiation would be equivalent to the tolerable level over a whole year. The waste came from a paint used by the watch-making industry to illuminate the numbers on watch faces. The substance, which has been banned since 1963 due to its radioactive nature, was discovered when roadworks were started at the site. The OFSP judged the risk to public health "weak", although SonntagsZeitung said that tests on the water table would begin next month. Public health authorities have shifted the blame back and forth, with local officials saying the OFSP should have informed the public about the incident, and the OFSP saying the responsibility lay with municipal authorities. 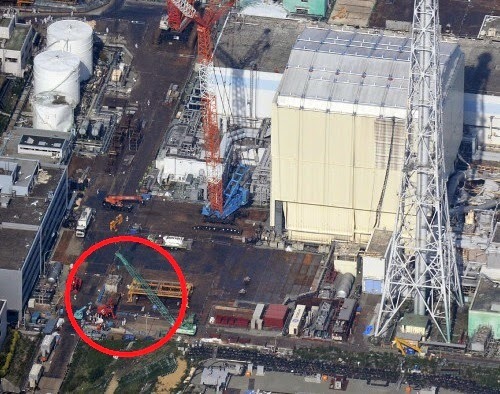 The president of the federal commission in charge of monitoring radiation (CPR), which was not informed of the incident, said the various authorities had made a "mistake". "This will all come back to bite us and it is much more difficult to stay credible and win back the public's trust," Francois Bochud told Le Matin Dimanche.